Ranger Aerospace Message From the CEO : Steve Townes, a well-known entrepreneur in the aerospace services arena, is President, CEO and a Director of Ranger Aerospace, the company that he founded in early 1997. He has held several CEO positions in Ranger’s ventures, notably of Keystone Helicopter, ASIG, and most currently Ranger International Services Group, Inc.
"We start every major meeting in our company and subsidiaries with Quality—Safety—F.A.R. Compliance. By doing that on a consistent basis, we help drive a culture that is focused on what's really important in aerospace and aviation. If those fundamentals are always impeccable and vigilant, metrics like profits and cash flow seem to follow naturally. But if an organization shirks those fundamentals in favor of squeezing out an extra nickel of profit, that can bring down the entire enterprise. That goes for everything from Town Hall meetings to Board meetings. From top level governance to shop level daily operations, it's a Ranger Aerospace fundamental that we take quite seriously. By doing this, we have fostered and grown award-winning operations, accelerated growth, and superior investment returns over the years." Mr. Townes, a well-known entrepreneur in the aerospace services arena, is President, CEO and a Director of Ranger Aerospace (and its affiliates), the company that he founded in early 1997. Mr. Townes has acquired, built and sold an array of companies during his long career, investing in both LBO and growth equity transactions. Ranger Aerospace typically looks for niche consolidations as part of the build-out strategy with a platform company. He has held several successive CEO positions in Ranger's ventures since founding, notably of Keystone Helicopter, ASIG, Ranger International Services Group, and most recently Ranger AeroSystems LLC and Ranger Airshop Holdings, Inc. Townes is an engineering graduate of West Point, where he earned the Eisenhower Award upon graduation. He has been an effective Board member for all of Ranger's portfolio operations, including overseas, as well as a Board Director in some unaffiliated companies. Ranger's current holdings are strong continuations of the holding company's repetitive pattern of historical success, following positive transformational leadership techniques for accelerated growth and critical mass. In Ranger's first large venture , Townes and the Ranger team approximately doubled ASIG's revenues and profits in less than 5 years, and vaulted it to "best in world" quality rankings at 56 airports and 25 fuel farms with 4,250 professionals. After that, Townes and the Ranger team grew Keystone Helicopter from under $40MM to over $125MM in less than 5 years, creating superior returns for institutional investors while growing every segment of the business and building the huge Keystone "HeliPlex" facility as a lasting legacy. 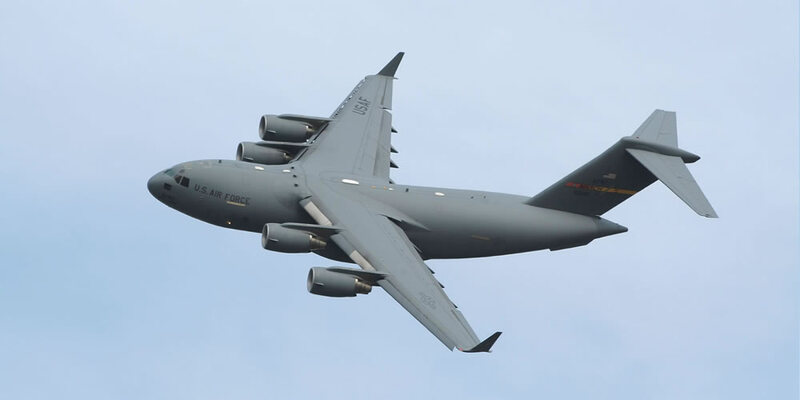 The third large success starting in December 2008, Ranger International Services Group, was capitalized with private and institutional funds to create a consolidation in government-outsourced Airfield Operations & Logistics and Aircraft Technical Services, with Townes again as CEO. Ranger International acquired three companies, successfully integrated the enterprise while steadily growing, added an in-house Engineering start-up, and inked an innovative overseas venture called Ranger Saudia Ltd. with a high-ranked royal partner. Ranger International was sold to a $1.1 Billion engineering company in 2012, with Townes remaining as the continuing CEO for post-merger integration for two years for that large privately-held company. In late 2014, Ranger AeroSystems was formed with two Private Equity institutional partners, initially acquiring a commercial airliner interiors retrofit company, with plans for more growth in attractive sub-sectors including Component Overhaul, Precision Manufacturing, and Specialized "Niche" MRO. In early 2016, a second new consolidation enterprise was capitalized with four Private Equity institutional co-investors, called Ranger AirShop Holdings, Inc., with manufacturing, sales, and leasing of cargo control products such as pallets, nets, straps, and containers distributed currently through 40 of the world's Top Fifty air cargo hub airports. That company, ACL Airshop, is on track to at least double its worldwide strategic footprint in the next few years, possibly becoming Ranger's largest and best enterprise, ever. In 2017, Ranger Aerospace marked its 20th anniversary in aviation private equity buyouts, beginning quite literally as a "kitchen table start-up." Ranger Aerospace has been the management stewardship team for over $490 Million in various buying, selling, and investing transactions over the past two decades, a very colorful and multi-faceted history. Investment returns in each of Ranger's successful large-scale divestitures have been superior for the sector, with "IRR" on its strongest exit slightly over 60%, plus commensurate cash-on-cash multiples. Townes said: "Our excellent results, value creation, and sustained performance are due to outstanding teams of people." Ranger's pivotal investment in ACL Airshop won the Deal of the Year award for 2016 from M&A Advisor magazine, an international financial publication. In earlier aviation ventures, Ranger Aerospace won similar awards for Deal of the Year in 2009, and Deal of the Decade in 2011 (for the decade ending 2010). Ranger's divestiture of Ranger International Services Group won 3 Deal of the Year awards in 2012 for the sale of that aerospace/defense technical services company. Ranger's storied history also includes a successful "Junk Bond" offering in its early years, a tumultuous takeover attempt of a publicly traded medium-sized aerospace company, and deliberately hiring veterans as an organizational preference when and where feasible. Ranger's name, logo, distinctive lightning-bolt crest, and tag-line are trademarked worldwide for exclusive usage in the aerospace/aviation sectors. Townes is an engineering graduate of West Point. Steve earned the coveted Eisenhower Award upon graduation there. He also holds an MBA from Long Island University and completed the PMD program at Harvard Business School. He is a featured speaker at aerospace conventions and symposia and has testified on aviation matters before the U.S. House of Representatives, FAA, and NTSB. Under his leadership for over 20 years, Ranger’s previous subsidiary revenues and profits rose steadily in each of Ranger’s three large successful “exits.” In April 1999, ASIG was voted “Best in World” in an independent survey of major airlines, and Ranger was cited as an innovative new parent company. Keystone Helicopter won numerous FAA “Diamond Awards” for quality. Ranger International won “superior” and “exceptional” customer rankings from government agencies, plus ISO-9000 certification.. Enterprise Value in Ranger’s most recently sold venture more than quadrupled under Townes’ leadership. The Ranger Aerospace team, and Townes, have been known for positive, principled “Transformational Leadership” in their many hard-charging enterprises. Relevant experiences show a consistent pattern of leadership achievement and transformational results. Townes’ diverse background spans almost four decades in the commercial, corporate, and military aviation industry. Before going independent with Ranger Aerospace in 1997, he was previously Vice Chairman, and earlier President, of Sabreliner Corporation’s heavy aircraft services divisions. Under Townes, that business was doubled in size, underwent a successful turnaround, struggled through an emergency crisis following a tragic crash, revamped its training and quality programs, and won new backlogs worth more than $500 million in multi-year revenues. Townes was Executive Vice President of Stevens Aviation, a $115 million multi-city aviation services chain which more than doubled in size and made two acquisitions while Townes was its chief operations, marketing and technical services officer. Townes has also been Vice President of Major Programs and Marketing of the Dee Howard Aerospace Corporation, as well as a Program Leader and Marketing Leader in LTV Aerospace and Defense. He began his distinguished aerospace career in early 1980 at the Vought Aircraft unit of LTV Aerospace, following 5 years as an Army officer. His diverse and distinguished aerospace career has made him an ideal partner with private equity groups, venture capitalists, and other co-investors in Ranger Aerospace acquisitions. He has always invested substantial personal capital in each venture. Ranger’s past ventures have won M&A Awards such as “Deal of the Year” and “Deal of the Decade.” Investment returns in Ranger’s largest successes have been above-market and impressive, such as nearly 5X cash-on-cash and 60% “IRR,” which are remarkable for the aerospace industry. Even in the worst Recession in 50 years, Ranger produced an enterprise with over $100 Million revenues, superior quality, a vibrant growth culture, and measurably superior investment results. The common thread across all of those companies was the small, energetic, expert team at Ranger Aerospace, leading the way on aggressive new business plans aimed at segment consolidation. 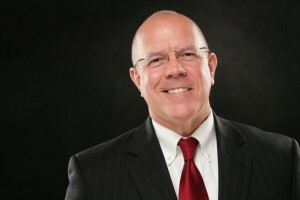 Townes, known as a turnaround specialist, general manager, marketing expert, change agent and dealmaker in the industry, gained positive recognition by the trade press as an industry leader from Congressional, FAA and NTSB appearances in past years, calling for industry safety reforms, better auditing, and cargo hold smoke detectors. He is frequently a featured speaker at industry conferences, and is often quoted as an industry leader and expert in the trade and business press. Steve Townes was also the inaugural Chairman of "SC Aerospace" for several years, after serving on the governor's Aerospace Task Force. SC Aerospace is a state-wide public/private partnership in South Carolina, which unites the aerospace growth and development objectives of industry, government, and academia. 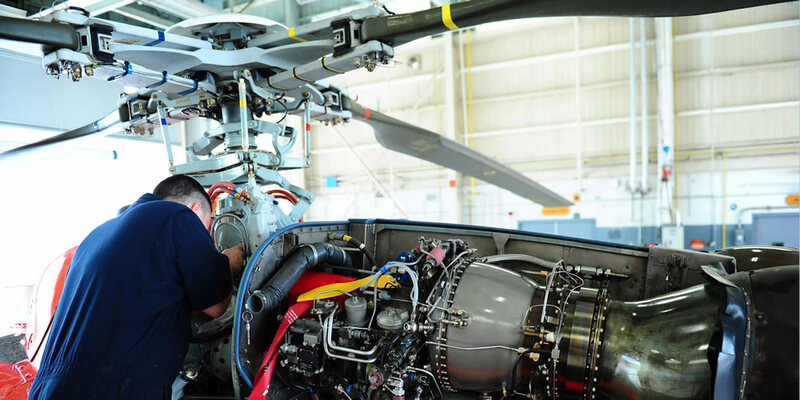 South Carolina is one of the fastest growing states in the US aerospace industry, and the Southeast USA has become one of the fastest growing regional concentrations of aviation and aerospace companies in the entire world. 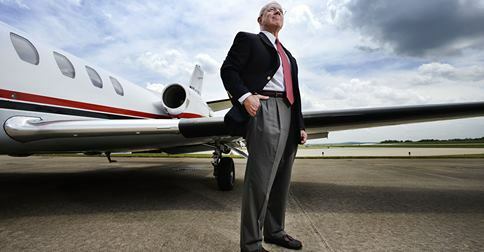 As the inaugural Chairman of this industry group, involving hundreds of aerospace/aviation companies, several other aviation associations, the university and technical college systems, and several state government agencies, Steve contributes to the industry's growth beyond just Ranger's own aerospace enterprises. Townes was the first CEO voice to call for Aviation High Schools in South Carolina, and after two years of coordinated efforts, there are now six such high schools, each with a $50,000 Grant, curriculum materials, and ongoing support. Steve has also been an early CEO facilitator for SC Aerospace affiliating with the Aerospace Futures Alliance, a Seattle organization similar to SC Aerospace that seeks nationwide "cluster partnerships" among aerospace organizations. His CEO level skills are also well suited to the consulting, Board level coaching, capital raising, and deal-making efforts of Ranger Partners Group on behalf of its client companies. For example, Townes was on the Board of a middle market sized aerospace and avionics components company in Atlanta that has grown from under $14MM to over $140MM in 8 years, and Steve still acts as an effective Board coach and mentor for the young entrepreneurs who run that fast growing enterprise. He was also a Board member for a large repair and overhaul company in the Northeast US which works on commercial and military ships. He is a past member of the Board of Governors of The Wings Club in New York. Townes is a Board advisor to the USA-China Investment Group in California, an innovative commercial enterprise development and investment firm with interests in aviation projects in China and North America. He is a senior Mentor with the "Founders Institute" which is recognized as the world's premier startup launch program for talented entrepreneurs, with over 2,000 companies successfully incubated around the globe. He and his family business entities also have various investments in other Ranger-related and unrelated limited partnerships, real estate, hedging vehicles, and a substantial array of public securities in aerospace, other industries, REITs, and bonds. Steve named his company in honor of special operations forces, where he also has personal heritage. He served in the 1st/75th Ranger Battalion as a young airborne infantry officer, and graduated #1 from the Army’s Ranger School. He also trained extensively as a qualified “Lancero” with the elite commando forces of Colombia, South America. He remains relatively fluent in Spanish, and has extensive international business experiences in Europe, Latin America, and the Middle East. On a personal note, Townes is the “mule donor in perpetuity” for West Point, providing Army Mules whenever the Academy retires one of its mascots. His only stipulation with that unique charitable gift is that one of the Army Mules would forever be named “Ranger” in honor of all Army Rangers throughout history. Educational backgrounds of current and past Ranger Aerospace officers have included such institutions as California PolyTechnic, Virginia Tech, West Point, The Wharton Graduate School, Harvard Business School, US Air Force Academy, US Naval Academy, Oxford University (UK), Embry-Riddle Aeronautical University, and William & Mary.